A review by ASIC found that more could be done to ensure seniors understand the risks and benefits of reverse mortgages, with one CEO agreeing that brokers are well positioned to be the educators. A review into the $2.5 billion reverse mortgage market by the Australian Securities and Investments Commission (ASIC) found a number of benefits of this type of loan, which is targeted towards asset-rich, cash flow-poor seniors looking to live a more comfortable retirement. Widely marketed as an “equity release” product, reverse mortgages allow Australians over 65 years old to access finance using the equity in their homes while living in the property. These loans don’t require repayments until the borrower sells the property or passes away, though they are welcome to make incremental payments. However, ASIC’s investigation, which involved interviewing 30 borrowers and analysing data on 17,000 loans, also found that poor understanding of the costs and rates associated with reverse mortgages — which are higher than standard home loans — and perfunctory lender checks could negatively impact borrowers in the long term, depending on market conditions such as fluctuations in interest rates and property prices. This is where brokers can come in and provide a lot of value to senior borrowers, according to the chief executive of Heartland Seniors Finance, Andrew Ford, because breaking down the complexities of loans is a key part of their role and one of the reasons that customers turn to brokers. Similarly, speaking to The Adviser sister title Nest Egg, reverse mortgage specialist at Omniwealth Ambreen Sumar noted that ASIC’s report stresses the importance of clear communication. This means going beyond explaining reverse mortgages fully and correctly; it’s particularly important for brokers to ensure elderly clients actually understand what they’re signing up for, according to Ms Sumar. It also means involving the client’s family so that everyone is on the same page regarding the family home and how the loan is used in the long term to fund future purchases. Mr Ford, like Ms Sumar, believes that there are significant misconceptions around reverse mortgages that need to debunked, the most prominent one being that borrowers could lose their homes. The Heartland Seniors Finance CEO said that this is “actually inaccurate”, explaining that reverse mortgages have stronger consumer protections than standard home loans (under the National Consumer Credit Protection Act) that prohibit from such a scenario coming to fruition. “Generally, reverse mortgages are not well understood, and reverse mortgages are arguably the most heavily regulated consumer finance product in Australia,” Mr Ford said. He went on to say that Heartland Seniors Finance has acquired 15,000 customers over the last 14 years and none have been evicted from their home. Mr Ford also pointed to what ASIC acknowledged in its own report, which is that borrowers can never owe a lender more than the value of their property and can stay in their home until they move out or die, following the regulatory reforms that were introduced in 2012. However, while the borrower may not necessarily lose their home, without proper professional advice — whether from brokers, financial planners or lawyers — senior borrowers could be left with insufficient equity to pay for longer-term needs such as aged care, the corporate regulator noted. This is why the services of brokers are important, Mr Ford believes. “I’ve spoken to several brokers since the report was released who have seen this as an excellent opportunity [to] be part of a growing market, to grow and diversify their own businesses,” Mr Ford said. Overall, Mr Ford said that the ASIC report is positive. He also noted that the reverse mortgage lender has already implemented some of the changes that ASIC has encouraged, such as removing “potentially unfair” contract terms. “There were clauses that we never relied upon and never would rely upon. For example, one of our contracts had terms relating to the appointment of a liquidator. With a reverse mortgage, you’re never going to appoint a liquidator. That wasn’t right and we removed it,” Mr Ford said. In addition, the CEO said that Heartland Seniors Finance has taken measures to ensure that elder abuse is better detected and prevented. “We have done staff training on elder abuse, we’ve put a guide on our website and we include a guide to elder abuse to every prospective customer now,” Mr Ford said. ASIC also noted that the reverse mortgage market has shrunk significantly since the global financial crisis, with just two credit licensees providing 80 per cent of the dollar value of new loans between 2013 and 2017. Over those five years, Bankwest, Commonwealth Bank, Macquarie Bank, Heartland Seniors Finance and Westpac lent 99 per cent, but Macquarie Bank and Westpac exited the market in late 2017. The market has shrunk at the same time as consumer demand has grown, ASIC noted, with lenders’ exposure to reverse mortgages rising from $1.3 billion in March 2008 to $2.5 billion in December 2017. Ms Sumar said that the issue with there being a small pool of lenders in the market is that interest rates are not competitive enough. 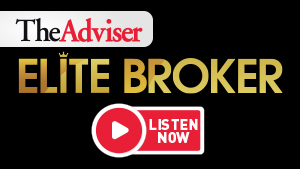 “I, as a broker, can’t go to Commonwealth Bank because there’s no broker channel. The clients would just go up to the counter and say, ‘I want to take a reverse mortgage out’, and they normally talk them out of it because they don’t know enough about the product,” the specialist said. “Really, Heartland is the only one that is available to the broker market; the rest is done directly with the consumer. Meanwhile, Mr Ford said that Heartland Senior Finance’s primary competition is “probably lack of awareness and tightening of the belt or apathy”. “There are lots of other options to release equity from one’s home, the primary one being downsizing. So, in terms of the reverse mortgage market, it is growing. Heartland is seeing considerable growth and we think that will continue,” the CEO said. While ASIC did not present any specific recommendations in its report, it has formed a working group to explore what could be done to improve reverse mortgage lending practices. Mr Ford said that Heartland Seniors Finance has accepted the corporate regulator’s invitation to participate in the working group.